Yes, although dated, Nancy Mitford’s writings do indeed show what she called her “passion for the French”. Thanks for writing. I like what you did with the topic and the time constrains–pointing out things for then to then pursue on their own and analyze to draw their own conclusions. A week is no where enough but it is enough to wet the appetite. Vive les differences. 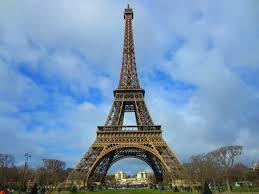 I so miss France when I’m not there, the old America is my country but Paris (France also for me) is my home. Merci, Jacqueline! These kids are great and I think that for some of them even a week is life-changing. As you say, vive les différences! 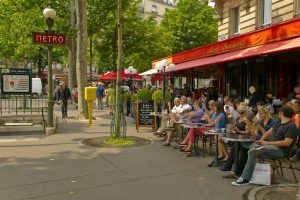 Great advice to encourage young people to look up and all around while walking in the streets of Paris! Recognizing things which are new, old and different and developing unending curiosity about the world around us, no matter where we might be, is essential to enjoying life and “joie de vivre”. What better message is there to share in the hour you had with those students? Thanks, Jan. As a teacher, you know how impressionable these young minds are. If they don’t look up and around themselves now, they’ll lose an invaluable opportunity for development. Just going to give another speech now in which I’ll say the same thing! 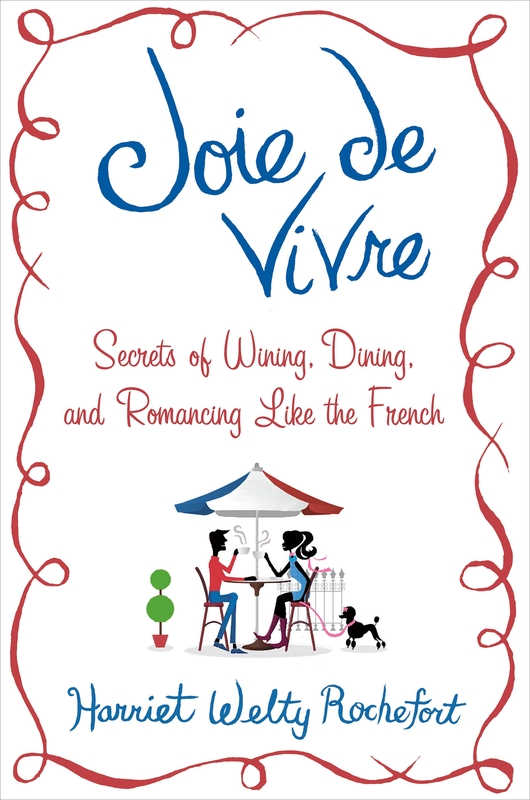 Vive la joie de vivre! And we LOVED having you speak to us Harriet! Just took a survey this morning in my class on what their favorite was and guess who ranked the highest?!? YOU! It was absolutely my pleasure, Julie. I am always delighted to share my experience of all these years of living in France with students who are curious and eager to learn as were yours. Hope we’ll see you back in Paris again soon!